Stay tuned with us, OpenLab @ Heart Ibiza. This week music by Robert Miles, Jonas Saalbach, Pillow Talk live & Andy Baxter. 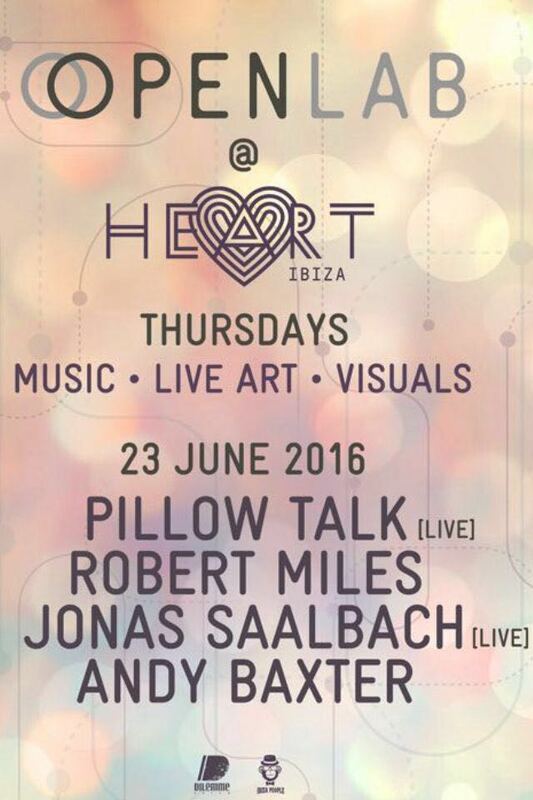 We invite you to come out and dance with us this Thursday, 23rd of June at Heart Club Ibiza from 12am till 6am!